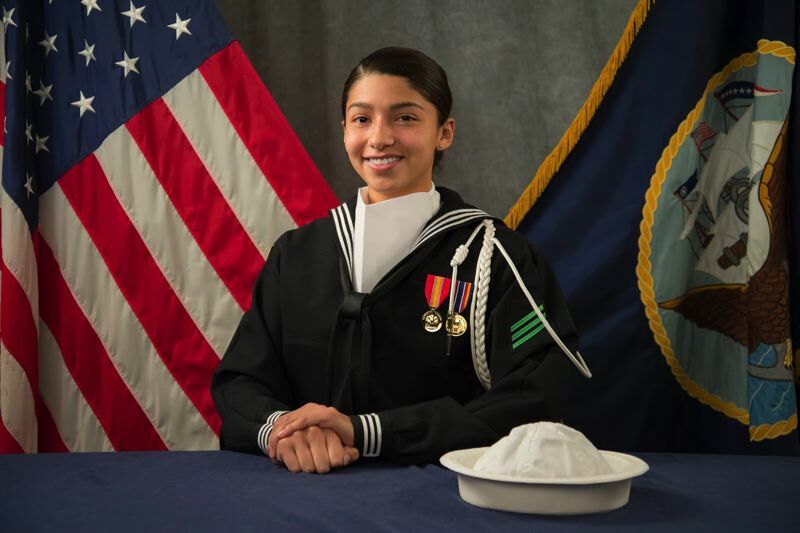 Alyssa Villalobos, part of the U.S. Navy Ceremonial Guard, was chosen to serve in a 21-gun salute in Texas. Petty Officer 3rd Class Alyssa Villalobos is no stranger to participating in military funerals. The Washington, D.C.-based sailor is a member of the U.S. Navy Ceremonial Guard, helping to perform services at Arlington National Cemetery as part of her regular duties. "My normal job is rendering military honors for my fallen shipmates, anywhere from E-3 to O-9," Villalobos said, referring to the military rank designations used for enlisted Navy personnel and officers. But Villalobos got what she described as "a once-in-a-lifetime opportunity" when she was selected to participate in a firing line at the interment of former President George H.W. Bush in College Station, Texas, last week. Villalobos, a 2016 alumna of Forest Grove High School whose family still lives in the area, was in Oregon when she was contacted about participating in the funeral. "I went on leave Thursday, got the call Friday, and flew back Saturday," she said. 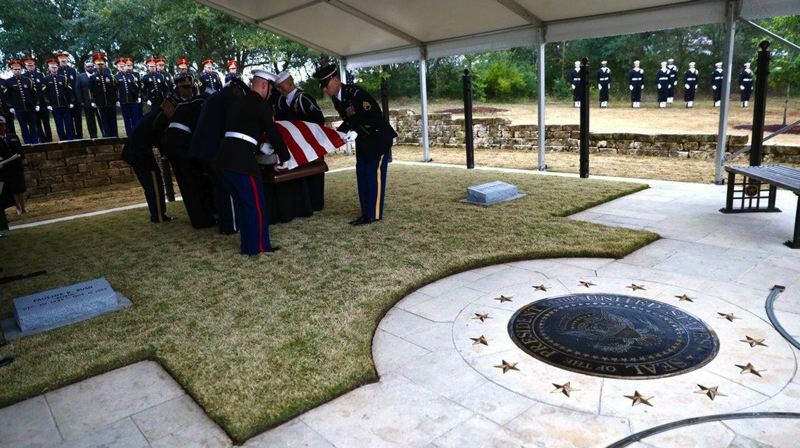 She went from Oregon to Washington, D.C., and then to Texas, where Bush — a Navy veteran himself, serving with distinction during World War II, as well as a former director of the CIA — was buried with military honors Thursday, Dec. 6, on the campus of Texas A&M University. "I guess the only thing you can say that really stood out to me was how humbling it was," said Villalobos, one of the guard members in the ceremonial 21-gun salute at Thursday's service. She added, "It didn't really hit me until the flyover happened." Hearing and feeling the powerful vibration generated by a flight of jet fighters passing directly overhead, she recalled, she was reminded of the weight of the moment and her small place in history at the burial of a former president. "It was something I never thought I'd be a part of, from such a small town," Villalobos said. Villalobos was an award-winning student athlete in track and field at Forest Grove High. She enlisted in the Navy shortly after graduation and has now been in the service for close to two years. "Even coming from a small town, the opportunities in life are endless as long as you set your mind to it," she said. Bush died Friday, Nov. 30, at his home in Houston. At 94 at the time of his death, he was the oldest former president in U.S. history. Bush, a Republican, served as president from 1989 to 1993, losing re-election to then-Gov. Bill Clinton of Arkansas. Later in life, he and Clinton developed a close personal friendship. His state funeral was held Wednesday, Dec. 5, at the National Cathedral in Washington, D.C. That service was nationally televised. His burial the following day in Texas was a private ceremony for family and friends.